These are words from UN-Secretary General, Ban-Ki-Moon as he commemorated the signing of the Paris Agreement at the UN Headquarters in New York on 4th November 2016. This agreement, amongst other agreements, aims at bringing countries together to combat climate change by limiting warming to well below 2 degrees C. As Ban Ki Moon said, it’s time to do what science demands to promote sustainability. As Environmental Science students at Karatina University, we have been theoretically learning about climate change, the conventions, and strategies to combat this menace. Participating in the World Climate Simulation event was therefore the best platform to make our learning more practical and informative on what is actually happening in the real world of international climate policy. We have also been curious in understanding how negotiations between the different parties take place and the geopolitics involved, hence, the simulation was the perfect chance. We registered our class event for 17th October 2016. Fortunately, Dr. Grace Mwaura from Climate Interactive, was available to facilitate the event making it more interesting based on her experience. 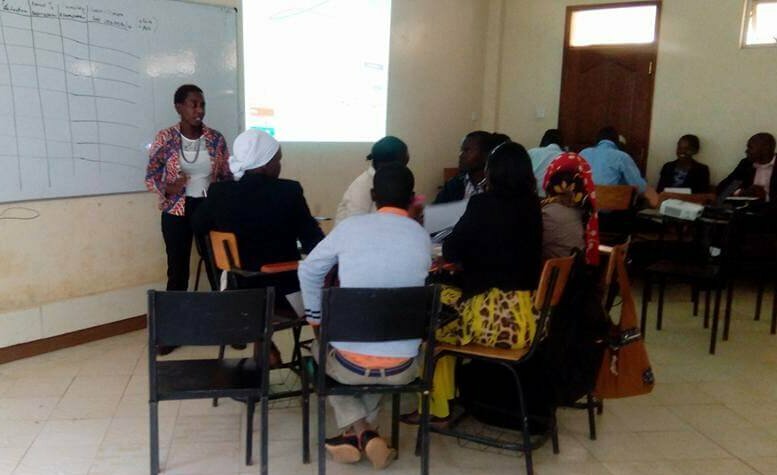 The simulation was integrated as part of the lecture series in the module “Environmental Conservation Strategies”, instructed by Mr. Geoffrey Mwangi, our lecturer. As per the role-play requirements, the class was divided into six negotiating groups representing nations from around the world and were tasked with limiting global warming to well below two degrees Celsius above pre-industrial global temperature levels. Two additional groups of climate activists and fossil fuel lobbyists were also set-up to influence the decision-making process. The class got excited when the developing countries’ delegates were informed to sit on the floor, while the other nations were treated based on their status. This got us thinking: while climate change puts all countries in the same predicament, they all have different capabilities and priorities in curbing it. How do we draw the line? How do we share the responsibility of addressing climate change given our widely varying situations in emissions and adaptation to climate impacts? The UN Secretary General asked the delegates to discuss their strategies to reduce global warming based on reducing CO2 emissions, reducing deforestation and increasing afforestation efforts, and contributing to the green climate fund among other variables. The results were then ran on the C-ROADS software, a computer simulator that helps in understanding the long-term climate impacts of actions that reduce greenhouse gas emissions. This software can be used to rapidly test strategies for tackling climate change. It was interesting to see in real time how temperatures would drop if all nations agreed on common grounds to play their part in curbing climate change. Developed countries were adamant not to contribute to the green climate fund noting corruption and lack of transparency in developing countries. Developing countries were adamant not to pledge ambitious targets to emissions reduction noting the failure of the developed countries to make ambitious commitments and their interest to protect their economic status. This became a hindrance to meeting the emissions reduction targets in the first round of negotiations. We learnt, therefore, that to draw the line, based on the differentiated capabilities of the various party states, more effort in dialogue and collaboration was required. If all countries put maximum effort based on their ability, while finding a balance with their economy, and not based on what other countries are/are not doing, then this would be a stepping stone to a safer, cleaner planet. Eventually, the second round of negotiations ended with warming of 2.1 degrees C in 2100. During the debrief session, we were challenged to start small in being part of curbing climate change through creating awareness, participating in tree planting activities to increase tree cover, as well as coming up with projects and technologies that mitigate climate change such as renewable energy projects. We feel satisfied that the event was a success and above all, impactful. 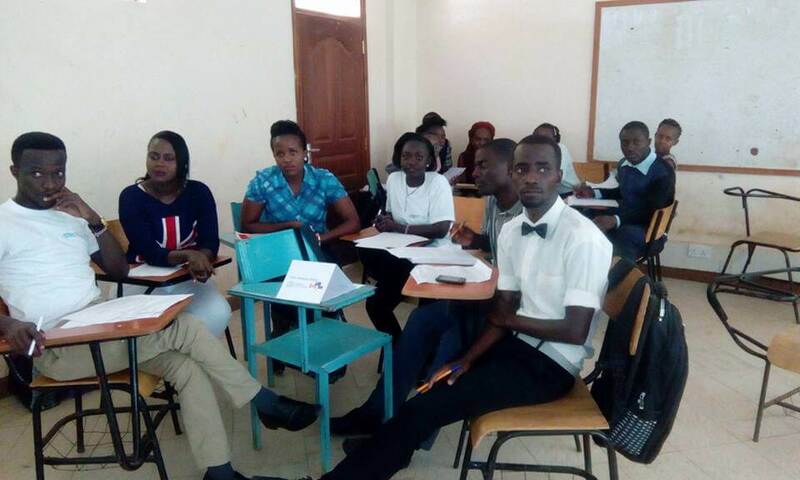 Wangechi Kiongo and Enock Mutuma are students at Karatina University and organized the World Climate Simulation under the guidance of their lecturer, Geoffrey Wambugu Mwangi. If your students/lecturer organize a similar simulation, feel free to share with us your experience.